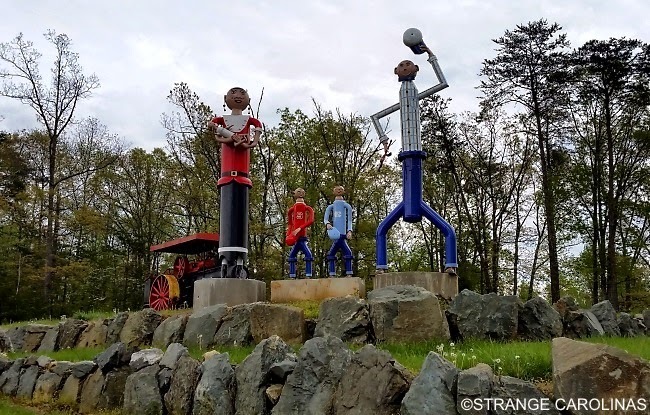 Next time you're travelling on Highway 70 between Burlington and Haw River, make sure you check out the metal pipe family on the hill. 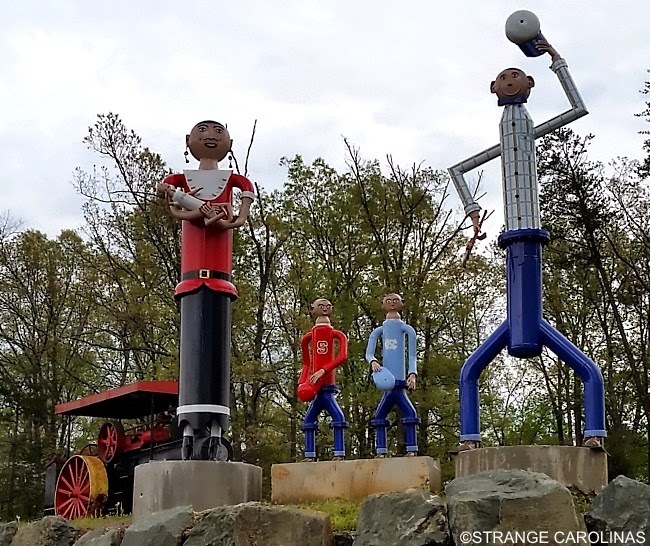 There's a husband and wife, their UNC-backing son, their NC State-backing son, and a baby who has yet to declare its affiliation. Let's just hope the baby doesn't pick Duke.